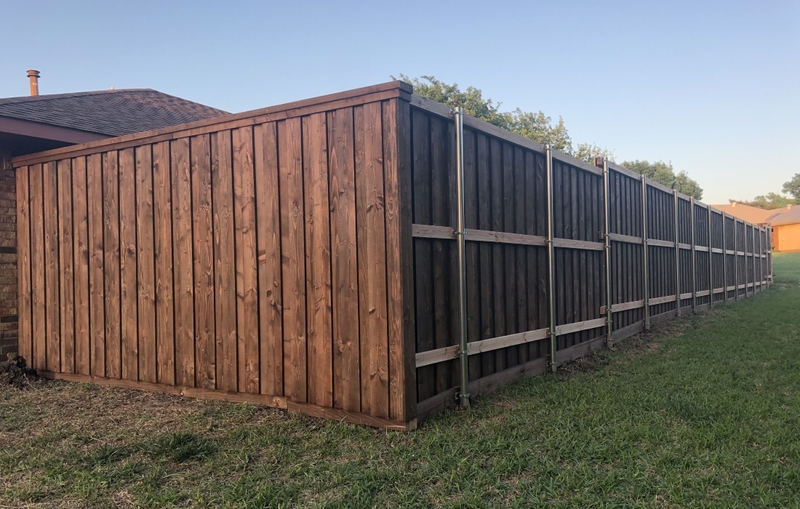 Whether we just installed your new fence or if your fence is just in need of repairing, staining should be the very next step. 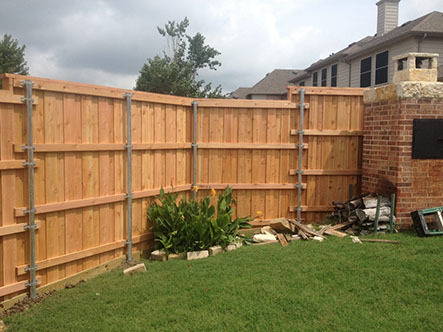 The best advice is don’t just settle for doing it yourself by throwing another coat of paint on that fence and calling it done. 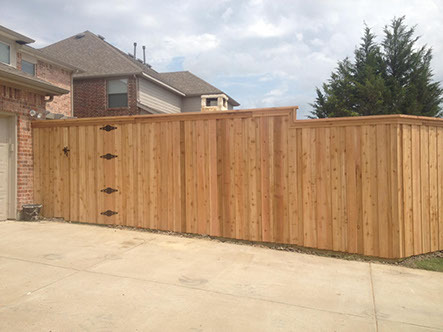 Instead, make it appear new again and increase the value of your home, with the fence staining services that we provide. 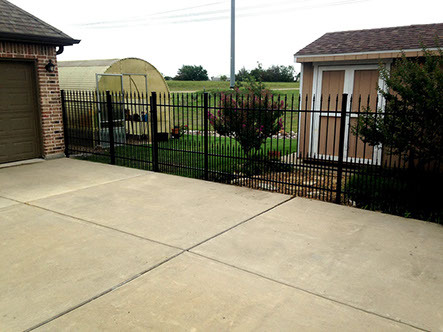 Wrought iron is considered to be a formal style that compliments brick buildings and other stone structures. Today homeowners have a vast selection to accent the style of homes and landscapes. The various shapes, sizes, and styles each lend a touch of the past blended with the modern landscape of your home. Wrought iron brings a strong feel to a landscape, and can add to the beauty of stonework and gardens. 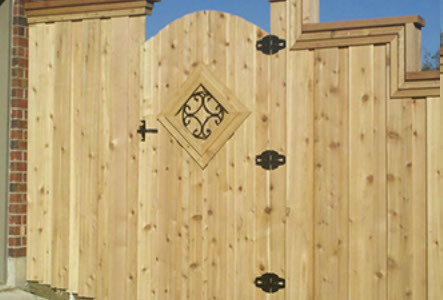 Our experts will help you choose the best stones and plants to compliment the beauty of the wrought iron. Accents such as plant hangers and trellises add to the depth and dimension that will show off the beauty of your home and garden. Since our inception, we have maintained the heart of the business by remembering core values, teamwork, quality, innovation, and safety. 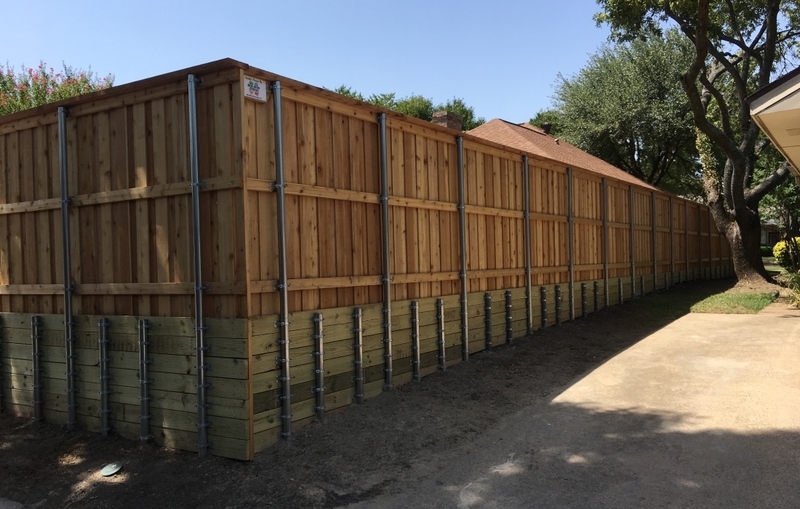 We continue to be at the cutting edge of innovation and work with highly trained contractors, architects, and developers to design and create truly unique projects and landscapes. Covered cedar patio with beautiful flagstone stonework. Complete outdoor kitchen with stonework, grill and fridge.